Adding to its growing list of gorgeous glass and metal phones, HMD Global finally unveiled the Nokia 7.1 in London last night. The successor to the Nokia 7 from last year, it has a new and modern design, a superior display, and improved camera hardware thanks to dual Zeiss lenses. The Nokia 7.1 has been priced starting at 299 euros (approx Rs 25,299) for the base variant with 3GB RAM and 32GB internal storage. 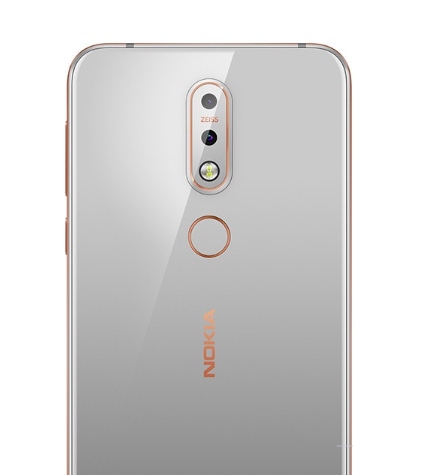 The higher-end 4GB+64GB variant of Nokia 7.1 will retail at around 349 euros. The Nokia 7.1 follows in the footsteps of the recent Nokia 6.1 Plus and Nokia 5.1 Plus with a glossy glass-sandwich design. The device features a 6000 series aluminum frame, with 84% glass used across the board, which makes the Nokia 7.1 look gorgeous and tempting to pick up. 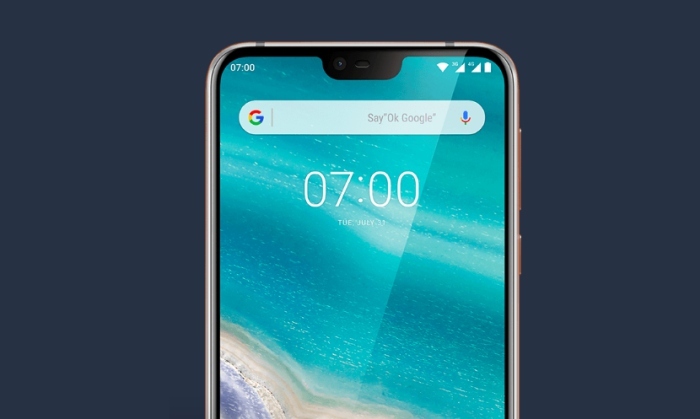 The Nokia 7.1 includes a 5.84-inch Full-HD+ screen, with a small notch – quite similar to the Nokia 6.1 Plus, but the key highlight here is the introduction of the PureDisplay screen technology. As HMD describes it, PureDisplay will enable the new Nokia 7 to automatically adjust brightness and contrast to lighting conditions, increase the sunlight visibility, and up-scale non-HDR content in real-time using a dedicated 16-bit engine. This means you can stream HD content from YouTube, as well as Amazon Prime and Netflix, on this device. Nokia said that nearly two-thirds of videos around the world are watched on mobile, which is why it makes sense to bring this technology to phones. Moving on, the Nokia 7.1 is powered by the Snapdragon 636 processor, paired with up to 4GB of RAM and 64GB of internal storage. In the optics department, the device packs a Zeiss-backed dual rear-camera module, which includes a 12MP primary sensor (f/1.8 aperture) and secondary 5MP depth sensor. There’s also an 8MP selfie shooter, which will come in handy for Nokia’s popular Bothie mode. You get many AI features, Pro camera mode, Live Bokeh and many other features. This device, like every other Nokia-branded smartphone, is part of Google’s Android One program and it runs Android 8.1 Oreo out-of-the-box. It’s, however, disappointing to see as the company has already released Android Pie stable builds and could have launched Nokia 7.1 with the same. The update will land sometime in November, says HMD Global. There’s also a modest 3,060mAh battery in tow, along with usual connectivity options including a USB Type-C port and 3.5mm headphone jack. You even get a rear-mounted fingerprint sensor. The Nokia 7.1 come in two different color variants, namely the Gloss Midnight Blue and Gloss Steel – where the latter looks absolutely stunning.